Not long after supporters of fellow NBC series Hannibal had to preserve through the show’s abrupt cancellation, it looks to be that Community won’t be returning for season 7, despite reports to the contrary. News comes via the show’s fearless leader himself, Joel McHale, who admitted in an interview with Metro Weekly that all of the actor’s contracts expired after six years, and Community has almost outgrown its reach in the sense that it can no longer afford to keep stars such as Alison Brie or Gillian Jacobs. After a five-year stint on NBC with low ratings – despite carving out a loyal and passionate following – the network opted to cancel the comedy series, though it was revived at the eleventh hour by Yahoo! There, Community ran for season 6 under the watchful eye of Series Creator Dan Harmon with most of the main cast returning, too. Still, McHale, Harmon and the rest of the creative team look to have exhausted their financial resources. 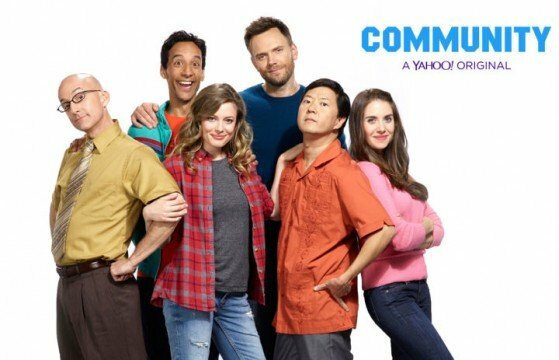 Despite a valiant fight, Community looks to have closed its doors for good, with Yahoo! having no plans to bring back the show for season 7 due to its escalating budget and actor wages. However, can we keep our fingers crossed that the six seasons and a movie tactic pays off in the long run? Time will tell.